IM BUSY LOOKING BUSY BECAUSE MY WORK IS DONE AND I DONT WA - ProudMummy.com the Web's Community for Mums. I'M BUSY LOOKING BUSY BECAUSE MY WORK IS DONE AND I DON'T WANT TO DO YOURS. 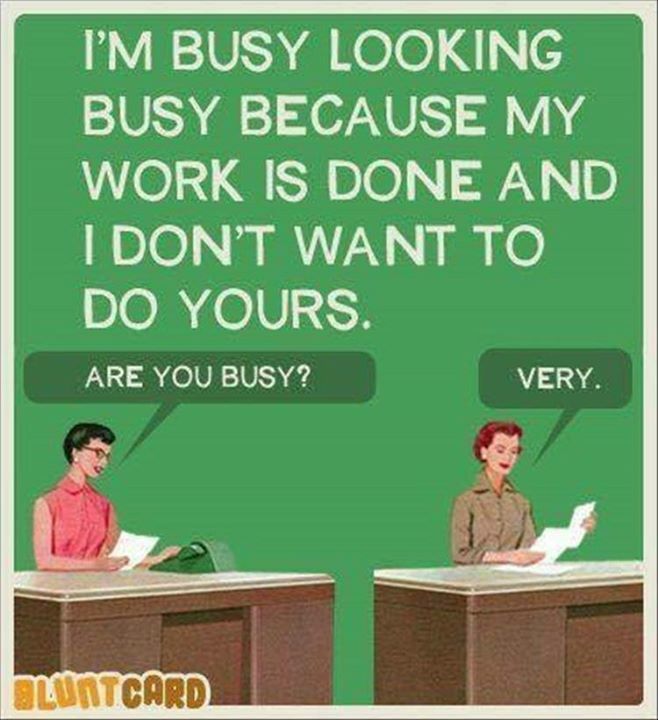 ARE YOU BUSY? VERY.